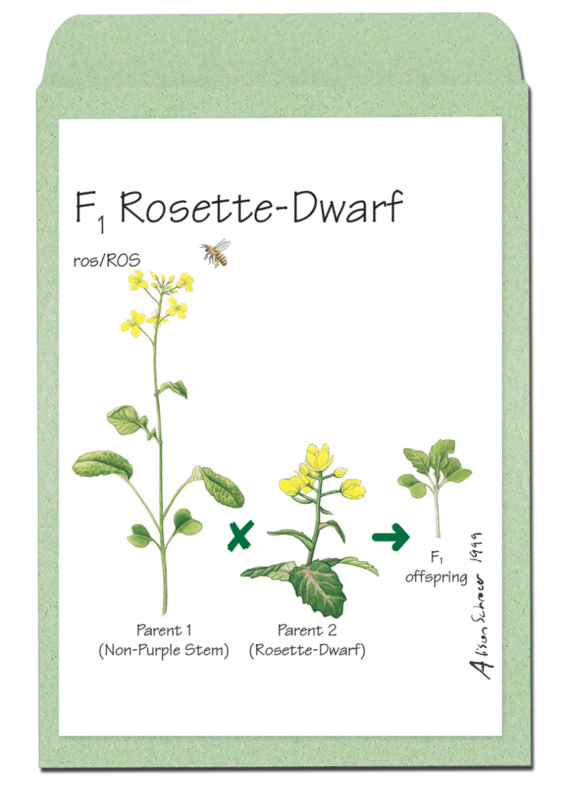 F1 Rosette-Dwarf variety of Wisconsin Fast Plants® is a cross between the Non-Purple Stem, Hairless variety and Rosette-Dwarf variety. 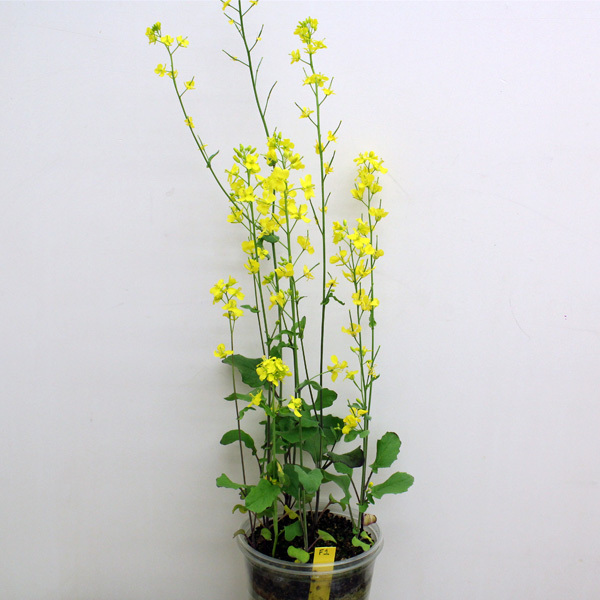 F1 Rosette-Dwarf–along with its F2 offspring generation–demonstrates a two-gene inheritance model that is representative of Mendel’s findings. 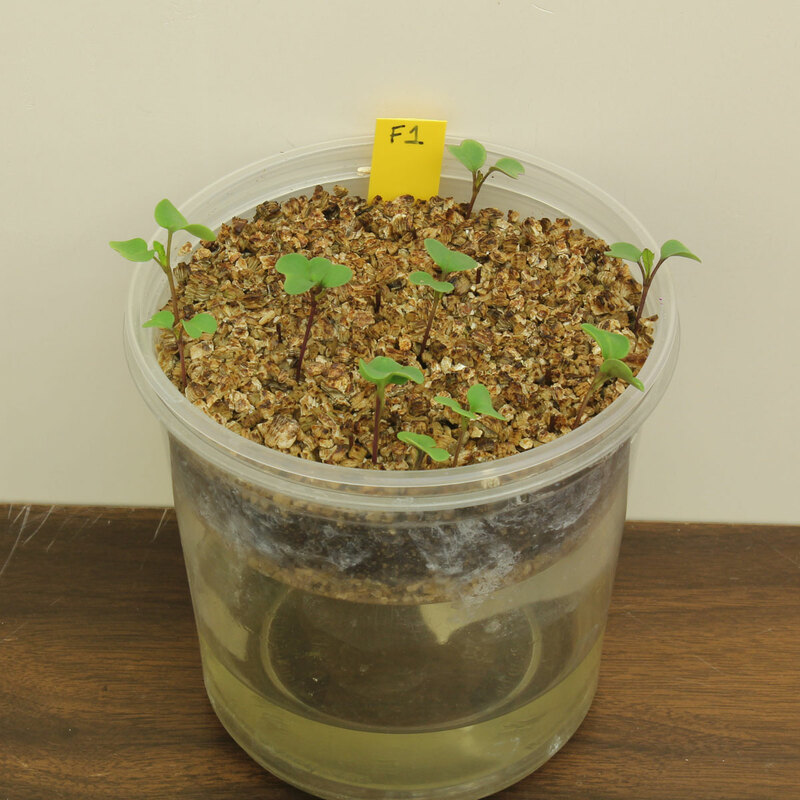 The expression of anthocyanin in the Rosette-Dwarf variety is dominant over the anthocyaninless, Non-Purple Stem, while the Rosette-Dwarf phenotype is recessive. 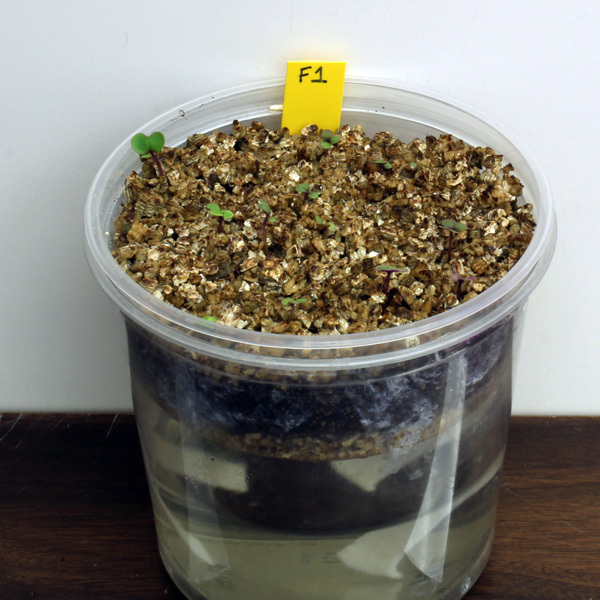 The F1 and F2 Rosette-Dwarf varieties can either be grown in potting mix through their life cycle or germinated on paper towels and observed at 72-96 hours, when their distinctive phenotypes will first become apparent. 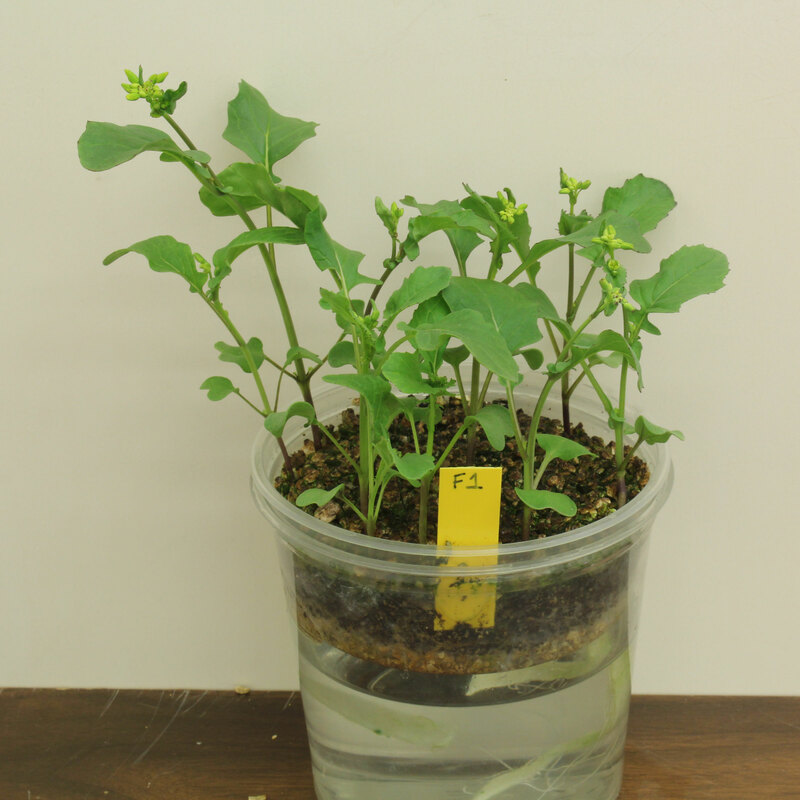 If any green stem plants should appear in this F1 variety, remove prior to pollination.